RK Singh said the new power tariff policy, which is being considered, will be implemented only after consulting all the state governments. 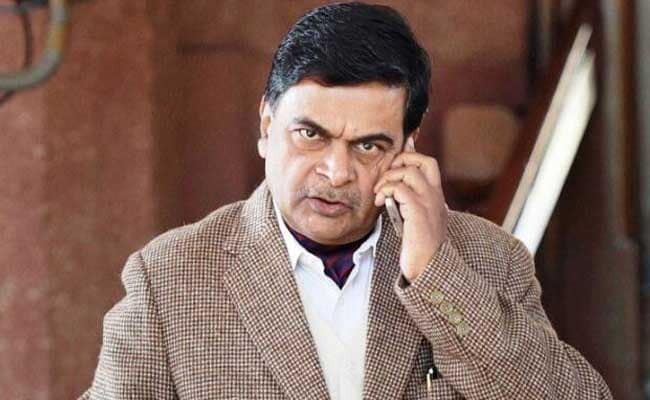 Union Power Minister RK Singh today ruled out uniform pricing of power in the country, saying that rates will differ because of various factors. The electricity rates are decided by central and the state electricity regulatory commissions, he said in reply to questions by reporters. Besides, coal transportation costs are different for different plants. Also, various state governments have different agreements with power plants across the country, he said. Bihar, which has insufficient power, has been making vociferous demands for uniform power tariff. Mr Singh said the new power tariff policy, which is being considered, will be implemented only after consulting all the state governments. Certain amendments to the Electricity Act will also be implemented after taking the states into confidence, he said. Mr Singh also asked state governments to give subsidy directly to consumers under the direct benefit transfer scheme. On the handing over of Bihar's power plants to NTPC, the minister praised the decision, saying it would save 10-15 paise per unit for the state government in the generation of power. The Bihar government has already divested its stake in Kanti thermal power plant in Muzaffarpur and Nabinagar power plant in Aurangabad to NTPC, while formalities for handing over Barauni thermal power plant would be completed by October 31, 2018. Mr Singh, who reviewed the progress of work at NTPC's Barh super thermal power station, said the first unit (of stage-I) will start generation from December 2019 instead of the scheduled August 2020. The second and third units of stage-I will be made operational in December 2020 and August 2021, respectively, he said. All the units will have a capacity of 660 MW. "I have reviewed the entire plant and the three under-construction power plants under stage-I and am quite satisfied with the performance of Barh plant. The efficiency of the plant has increased which is evident from the fact that plant load factor (PLF) of Barh plant under stage-II has increased to 84 per cent this year from last year's 72 per cent " Mr Singh said. Two units of stage-II of the Barh super thermal power plant, each of 660 MW, are operational while the three stage-I units are under construction. The minister said NTPC CMD Gurdeep Singh, who accompanied him, had assured him that the target will be fulfilled as per the rescheduled timeline. Mr Singh also praised NTPC for not increasing the cost of power in the past five-six years despite the 45 per cent increase in the cost of coal and freight. The union power minister said he has written to state governments, including Bihar, for providing barren land for setting up solar plants.